Complete with parachute-style harness and shoulder strap, the MT Cargo offers both relaxed carrying security at high speeds. Made from heavy duty 1680 Denier ballistic nylon and with a bumper shield protecting the main compartment, it is also suitable for compact DSLRs or camcorders. • Body - strong 1680D cross nylon shell. • Protective shield/sleeve hanger for sweater/jacket. • Large zipped front opening - DSLR size. • Accessory pouch / wallet [detachable]. • Accessory pockets - rubber canvas reinforced. • Bottle holder - both sides, nylon mesh. • Hip sleeve pockets - both sides, zipped. • Waist belt - 50 mm with ITW release buckle. • Backpack harness - 4 point mount [detachable]. • Shoulder strap attachment [included]. Camera Capacity: Fits DSLR house with shorter lens mounted. 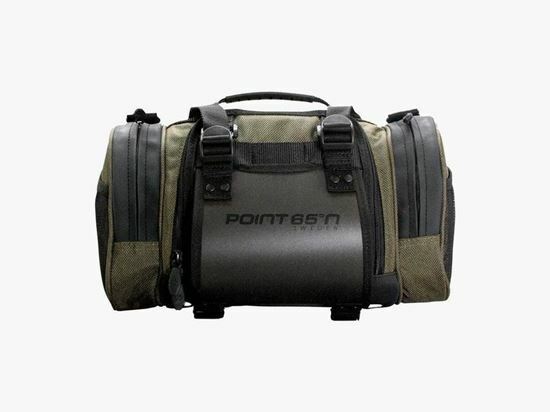 Also suitable for camcorders or compact SLR cameras.